being the most affordable at just £20 and most versatile, it was the first one I bought, and I haven’t stopped using it since. I use at least 3 of the shades every single day. Four of the five are matte, with ‘Venus‘ having a slight shimmer. I tend to use Venus on my inner corners and brow bown to give a subtle highlight. The next two colour are ‘Foxy‘ and ‘Walk Of Shame‘ both very neutral shades, with Foxy a more yellowy tone and WOS a more pinky shade. I tend to use these over the whole of my lid just to even it all out. 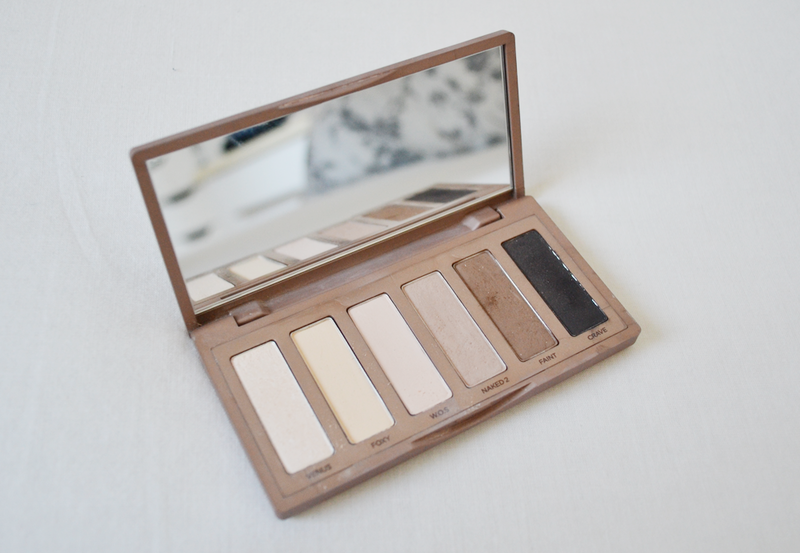 Next is ‘Naked 2‘, probably the most used in the palette. It’s a light brown colour which I always use to fill in my brows – being blonde I find it hard to find a good colour as my brows are slightly darker but this shade is perfect! It’s also great to put in the crease to give some subtle definition. Then is the darker brown shade of ‘Faint‘, which I also use for my brows when I want a neater, sharper and bolder look. It’s also another good shade for the crease if you want a more obvious but matte smoky eye. Finally is the least used shade ‘Craze‘. I think a black is needed in this palette however don’t tend to use it much on a daily basis because it’s so bold! The only time I use this is when I’m doing a much more dramatic smoky eye. Overall, I think it’s obvious that I love this palette. I have never been more in love with any product before, I just can’t wait to get the Naked 1, 2 and 3 in the future! !